Ministers have seen off a bid to force them to implement a second stage of the Leveson inquiry into press standards. 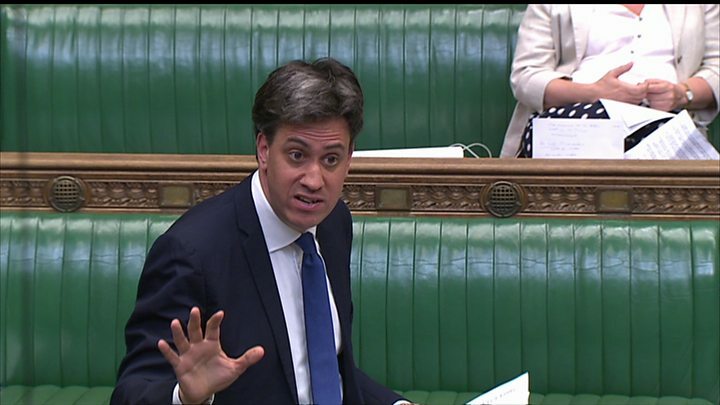 Despite an impassioned speech by former Labour leader Ed Miliband, the government won by 304 votes to 295. Culture Secretary Matt Hancock, who promised a "press standards" review in Northern Ireland before the vote, said it was a "great day" for a free press. DUP MP Ian Paisley called it a "Leveson for Northern Ireland" and the nine DUP MPs who voted backed the government. Northern Ireland was not covered by the original Leveson inquiry in 2012. Hacked Off, which has been campaigning for statutory regulation of the press since the phone-hacking scandal, insisted the vote "was not the end" and the "fight goes on in Parliament and the courts". But the News Media Association, which represents local and national newspapers, said the freedom of the press had won the day in the face of "dangerous anti-media" proposals. Mr Miliband moved the amendment to the Data Protection Bill, which was backed by the SNP, and would have meant a new inquiry into press standards. Five Conservative rebels voted with Labour - Crispin Blunt, Peter Bone, Ken Clarke, Dominic Grieve and Philip Hollobone - and one Labour MP, John Grogan, voted with the government. But the votes of nine DUP MPs were crucial for the government. Mr Miliband told ministers that their decision to axe Leveson had been "contemptible" and it was a "matter of honour about the promises we made" to the victims of phone hacking, saying the then Prime Minister David Cameron had pledged in 2012 to launch the second part of the inquiry. A second amendment to the Data Protection Bill which would have required publishers not signed up to a state-approved regulator to pay their own and their opponent's legal costs in relation to alleged data breaches was dropped after the SNP withdrew its support. The requirement to pay costs - which was due to have been tabled by Labour deputy leader, Tom Watson - would have stood even if the publisher won. Culture Secretary Matt Hancock said it would have made it "near impossible" to uncover stories of abuse as he highlighted the work of The Times' chief investigative reporter Andrew Norfolk, who uncovered the Rotherham child abuse scandal. A small number of publications have joined Impress, the self-regulatory body set up to be "Leveson-compliant"
Mr Hancock says the press has cleaned up its act since the Leveson report was published and it would harm press freedom to re-open it - and it would have had a "catastrophic" impact on local newspapers. The government tabled a series of amendments in a bid to avoid Commons defeats, with one allowing the Information Commissioner's Office to give advice on how to seek redress in cases of complaints against the press. Mr Hancock also said Her Majesty's Inspectorate of Constabulary would be undertaking a review of how police forces were adhering to new media relations guidance, as recommended by Sir Brian Leveson. He added a person would also be responsible for reviewing press standards in Northern Ireland, which were not covered by the original Leveson report. The Department of Digital, Culture, Media and Sport later clarified that this would form part of its proposed UK-wide review of journalists' compliance with the new data protection regulations, to be undertaken by the Information Commissioner's Office (ICO) in four years time. "Within this ICO review, or aligned to it, we will make sure there is an independent named reviewer for Northern Ireland," a spokesman said. The newspaper industry was united in its opposition to a second phase to the inquiry. But Sir Brian Leveson has said he "fundamentally disagrees" with claims changes to the media landscape meant it was unnecessary. In a letter to ministers in February, he said the "full truth" about the extent of unlawful behaviour at tabloid newspapers had yet to be exposed.